This is my tribute to all the soldiers who have lost their lives in conflicts and wars for our country. I`ve used the Tonic Circle Tag Dies to make the card. 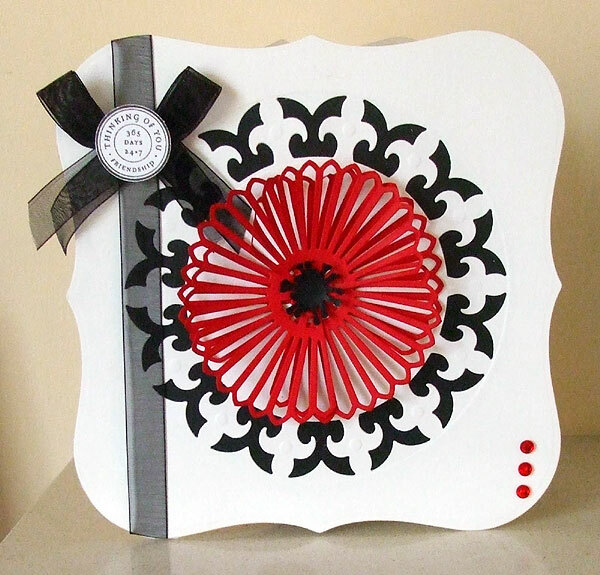 The poppy is made using 5 Fan die cuts and the centre is a punch from the Pick of the Bunch Lily & Poinsettia Punch set from Tonic. The sentiment is from Stampin Up Circle Sentiments.